“It is not possible, by the way, to achieve a richly textured effect that will last indefinitely. Plants grow. If your young hollies are twenty feet apart and you fill in with other things, the time will come when something has to yield. 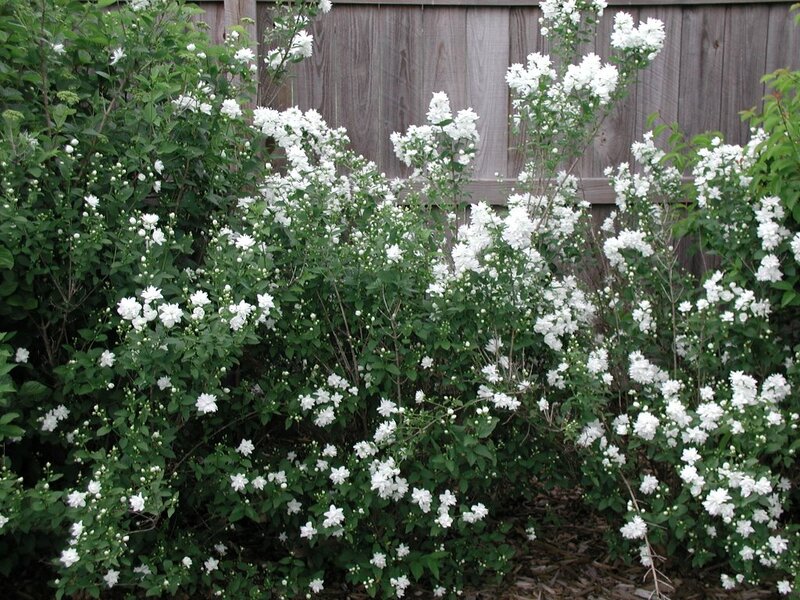 You may have to move a large azalea, or saw down an old mahonia, or chop out the viburnum. This is obvious, but always comes as an outrageous surprise to the gardener, as I well know. On the other hand, I do not see much sense in planting stuff at the proper distance for a fine effect fifty years from now. Such plantings will come to perfect maturity just in time for some jerk to bulldoze the place to sell french fries on." 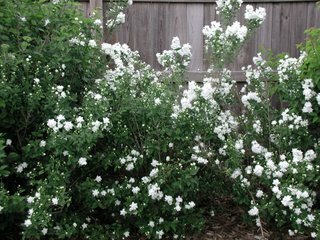 After reading that, I felt slightly vindicated, or at least a little less guilty, regarding several areas in my own shrub borders where, after nearly 10 years, some shrubs seem a bit too close to one another. Like many gardeners, I originally planted the shrubs with some spacing to allow for growth, but not as far apart as maybe I should have or could have. I planted for more immediate good looks. For the past few years, I’ve been thinking that I may have to choose a few shrubs to selectively remove to solve some of these quite apparent overcrowding problem. But I couldn’t bring myself to the point of actually choosing and cutting out any particular shrub. But Mr. Mitchell has helped me immensely with what he wrote about the shrub border. I can now tell everyone that I planted the shrubs with spacing to make for a nice border for the 1st 10 years, but now it is time to selectively remove a few shrubs to allow those that are left to have room to grow to their full potential. Yes, it is all part of my plan. First to go will be two of three mockoranges (Philadelphus ‘Buckley’s Quill’) that I planted in a space that really should have just one it. Mockoranges in general are not well shaped shrubs, and planting three close together doesn’t change that. On either side of the mockoranges are some viburnums, which could also use some of the extra space that I’ll create by removing these two shrubs. Then I need to address a troubling area that I’m sure all the neighbors see and point out as they drive by. On the corner of the house, far enough out that it will be years before it interferes with the house, I’ve planted a Chinese spruce, Picea orientalis ‘Green Knight’, as a nice specimen tree. However, next to it, I planted a Gold Tide Forsythia (Forsythia x 'Courtasol'). The Forsythia did exactly as advertised, and has spread wider than it is tall. So this past summer, to ensure that the spruce (the more expensive of the two plants by far) could continue to grow without interference, I had to cut back the Forsythia, and now it doesn’t look too good. I actually think I’ll be able to transplant the Forsythia and not lose it completely. I just have to figure out where there is another place to plant it. Wait, I know, I have an idea. I’ll finally dig a shrub border along the fence where I’ve been meaning to add one for years and then put the forsythia there! Yes, that’s what I’ll do. Thank you, Henry, for giving me some good ideas and putting the good sense in my head to remove shrubs that are overcrowded. Have you noticed that a true and devoted gardener will refer to their plants almost as if they were children? I can see a good place for that forsythia from here. In my shrub border in my back yard!! I think I would like Henry. He seems like a down to earth guy! I love that quote too. Thanks for reminding us not to feel guilty for being impatient. No need to plant for the french-fry seller, after all. Editing can be hard work, but it also can be freeing, I think. Very cool post, Carol. You've made plans for what to do with the forsythia; are you also reusing the mock oranges? My dad had a tree seedling sprout and hide in the middle of one of his big mock oranges. He cut the shrub back severely, got the whole thing out and sawed it apart to get to the tree sapling. He replanted one half of the mock orange and gave me the other. It looked like a dead stump, but within 2 years was quite wonderful. If you're trying to get rid of them will you give them away? Around here people put notes on Craigslist or Freecycle and any giveaway landscape items seem to go fast. Thanks all for the nice comments! I really appreciate them. Annie, I will indeed try to save the two other mockoranges. I believe they are "tough old shrubs" that can take a bit of transplanting, even after 8 or 9 years.